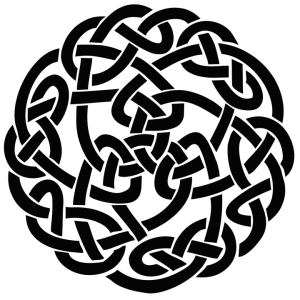 You are invited to submit a paper for an edited volume tentatively titled The Celtic Obsession in Modern Fantasy Literature to be submitted to Palgrave Macmillan. Scholarship on Celtic-inspired fantasy literature has mostly focused on source-studies of pre-1980s texts (e.g. Sullivan, 1989; White, 1998). Dimitra Fimi’s recent Celtic Myth in Contemporary Children’s Fantasy: Idealization, Identity, Ideology (2017), has widened the discussion by engaging with the Celticism vs. Celtoscepticism debate, focusing on constructions of “Celtic” identities in children’s and young adult fantasies from the 1960s to the 2010s. Creatively re-using heroes and mythological motifs from medieval Celtic texts, such as the Welsh Mabinogion, the Irish Táin Bó Cúailnge, etc. Engaging with perceptions of the “Celts” in classical sources such as Strabo, Herodotus, and Polybius, Tacitus and Caesar. Although heroic or epic fantasy may seem to fit better the scope of this collection, we are open to considering proposals on other sub-genres of fantasy literature, such as urban, magical realism and SF/fantasy crossovers. Fimi, Dimitra. Celtic Myth in Contemporary Children’s Fantasy: Idealization, Identity, Ideology. London: Palgrace Macmillan, 2017. Sullivan III, C.W. Welsh Celtic Myth in Modern Fantasy. Westport, CT; London: Greenwood Press, 1989. White, Donna R. A Century of Welsh Myth in Children’s Literature. Westport, CT; London: Greenwood Press, 1998.